That’s all there is to it. If you want to delve further: view the source, Luke. Please use the code as you wish, but I hope this article doesn’t lead to the re-introduction of pointless Star Wars-inspired splash pages! If you enjoyed reading this post, you’ll love Learnable; the place to learn fresh skills and techniques from the masters. 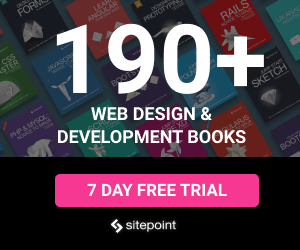 Members get instant access to all of SitePoint’s ebooks and interactive online courses, like Learn CSS3.